Are we experiencing a Taylor Swift overload this month? 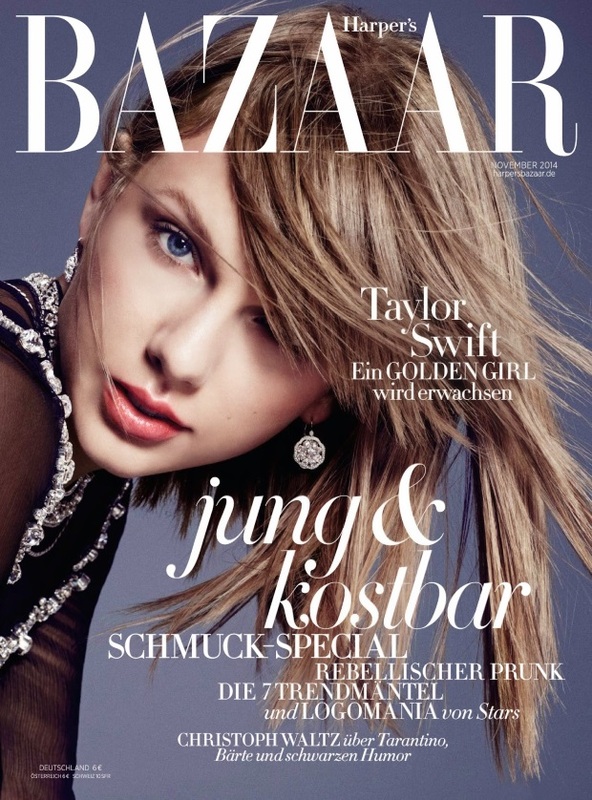 Taylor currently fronts the November issues of both U.K. Vogue and U.S. InStyle promoting her upcoming album, and now she stars on Harper’s Bazaar Germany’s cover. This time around, the “Shake It Off” singer is photographed by Paola Kudacki for a classic studio sitting, but with a modern twist thanks to the styling. Taylor sports a choppy hairstyle on both the newsstand (pictured below) and subscriber’s covers. The cover story is sure to be a hit if the images are anything to go by. Members of our forums were first introduced to the subscriber’s cover and immediately began to discuss. “First British Vogue and now this, she is producing some great work lately,” approved marsnoop2. “Finally something different and actually taking advantage of Taylor’s ability to model. Love it!” commented a satisfied TaylorBinque. See inside the thread for the subscriber’s cover as you await Taylor’s accompanying cover story, and join the discussion here.